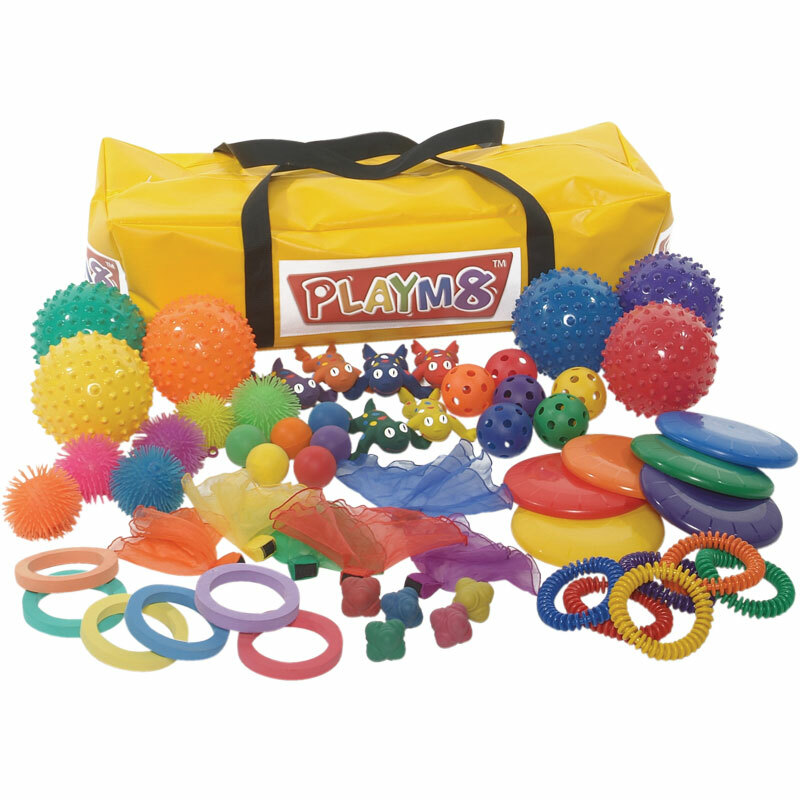 The PLAYM8 ® Throw n Catch Pack is a selection of equipment that has been selected to help develop hand/eye co-ordination amongst children through throwing and catching activities. 6 x PLAYM8 ® Throwing Quoits. 6 x PLAYM8 ® Throwing scarves. 6 x PLAYM8 ® Foam Rings. 6 x PLAYM8 ® Flyers. 6 x PLAYM8 ® Rubber Frogs. 6 x PLAYM8 ® Lite Flight Balls. 6 x PLAYM8 ® Skills balls. 6 x PLAYM8 ® Urchin Balls. 6 x PLAYM8 ® Bump Balls. 1 x PLAYM8 ® Yellow Storage Bag.